The What: DPA Microphones is showcasing its newly expanded line of d:vote Instrument Microphones with the addition of three new instrument mount options, the CM4099 Clamp Mount, the SM4099 Stand Mount and the AC4099 Clip for the Accordion, at InfoComm 2016 (Booth C9947). The new d:vote instrument microphone mounts complement the company’s ‘one microphone fits all’ approach, allowing one d:vote mic to be utilized across a multitude of different instruments by simply switching out the mount. DPA’s new CM4099 clamp mount is a clip that is designed to be a versatile solution as it is used most commonly on music stands in a big band or orchestral application. The SM4099 stand mount makes it possible for musicians to mount the d:vote mic on a traditional microphone stand and provides stability. The AC4099 Ccip for accordion allows for two microphones to be mounted directly on the instrument – one at the left/right hand side and one at the base/treble area, providing a full and balanced mix. The complete line of available mounts and accessories are designed to be adaptable and feature a gentle casing to prevent damage to the instrument. DPA is also displaying its lineup of Installation products at this year’s show. On display will be the TSM4001 Tabletop Shock Mount for its d:screet and d:dicate Podium Microphones, which offers the best shock rejection of any mount in the industry. The TSM4001 features vertical softness that absorbs handling vibrations, while horizontal movements are controlled to prevent the podium boom from coming in direct contact with the mount. The company will also have its d:dicate Series MMP-F modular active boom podium mic solution on display. Intended for podium, floor stand or hanging applications, with the d:dicate MMC4011 cardioid and MMC4018 supercardioid capsules, the MMP-F relies on the same technology as the company’s MMP-E active cable. Outfitted with an active boom pole preamp, the MMP-F is available in a variety of lengths and gooseneck options and fits to any modular d:dicate capsule, offering excellent RF rejection. 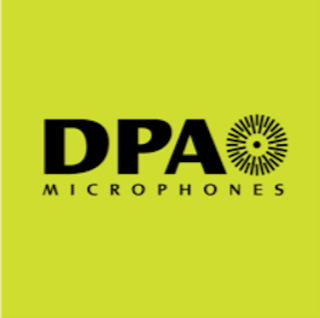 DPA will also be showing its microphone models, from the d:vote instrument microphones to the full selection of bodyworn microphones perfect for performers and presenters who want freedom to move on stage. These include DPA's d:screet miniature microphones and the d:fine 66 and 88 headset microphones, which combine the accommodations of the d:fine ear mount with the capsules from the famous d:fine 4066 omnidirectional and 4088 cardioid headsets. The Bottom Line: Also on display at InfoComm, will be a range of DPA’s miking solutions for the AV and installation markets, including models from its d:dicate, d:vote, d:screet, d:fine, and d:facto product lines.